o many, Milton Glaser is the embodiment of American graphic design during the latter half of this century” notes Patrick Argent on the prolific master of design whose “presence and impact on the profession internationally is formidable. Immensely creative and articulate, he is a modern renaissance man — one of a rare breed of intellectual designer-illustrators, who brings a depth of understanding and conceptual thinking, combined with a diverse richness of visual language, to his highly inventive and individualistic work” adds Argent. Born in 1929, Milton Glaser was educated at the High School of Music and Art and the Cooper Union art school in New York and, via a Fulbright Scholarship, the Academy of Fine Arts in Bologna, Italy. 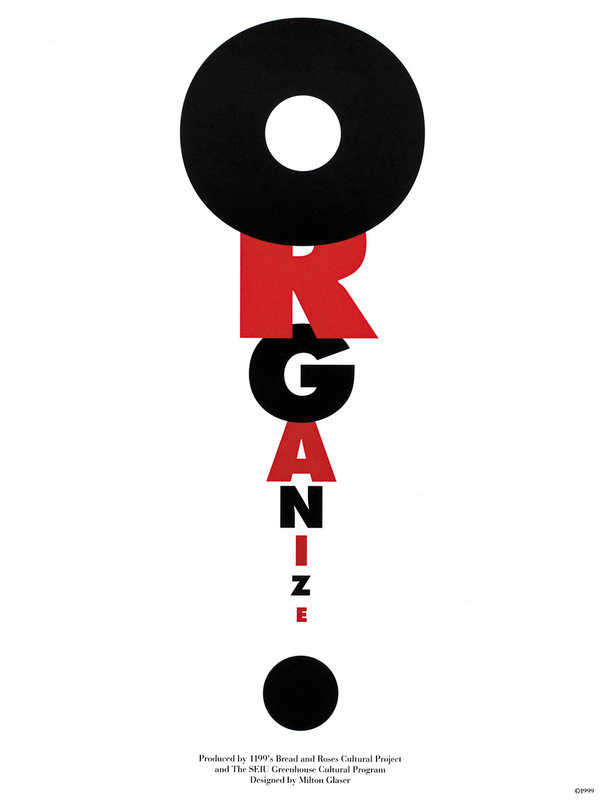 Glaser co-founded the revolutionary Pushpin Studios in 1954, founded New York Magazine with Clay Felker in 1968, established Milton Glaser, Inc. in 1974, and teamed with Walter Bernard in 1983 to form the publication design firm WBMG. 1967. 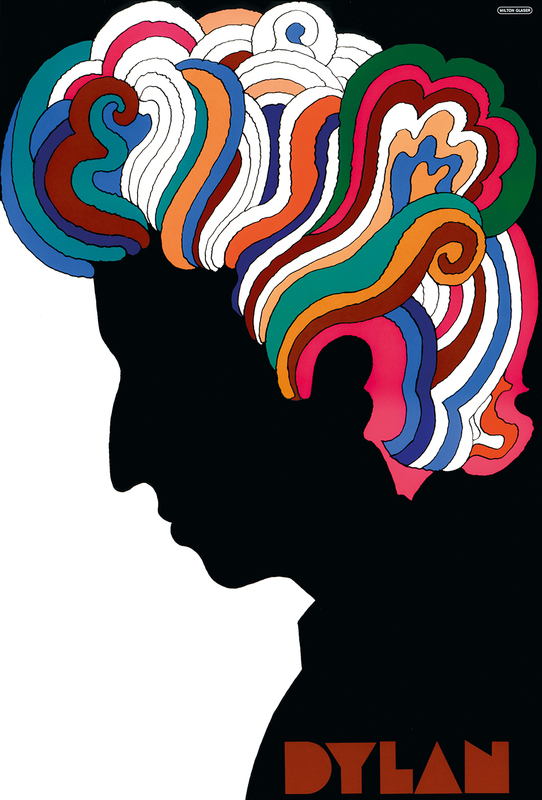 4-color offset lithography, 32¾ x 22" - Client: Columbia Records - This poster, included with the 1967 Bob Dylan’s Greatest Hits album, is probably the best-known work of mine, with the exception of the “I Love New York” identity campaign. Why certain works become iconic is not easily understood, but here the celebrity of the subject is certainly part of the story. Throughout his career, Glaser has been USA’s iconic creator of posters and prints. From his “I (Heart) NY” logo which he designed for free through the DC logo he envisioned n the 70’s to his latest campaign with a social cause -the design legend recently created three new posters for the School of Visual Arts’s now 50-year-old ad campaign, Underground Images as a “counterpoint to Trumpism” Glaser’s iconic works have one thing in common. To transform the world in a better place. 1983. 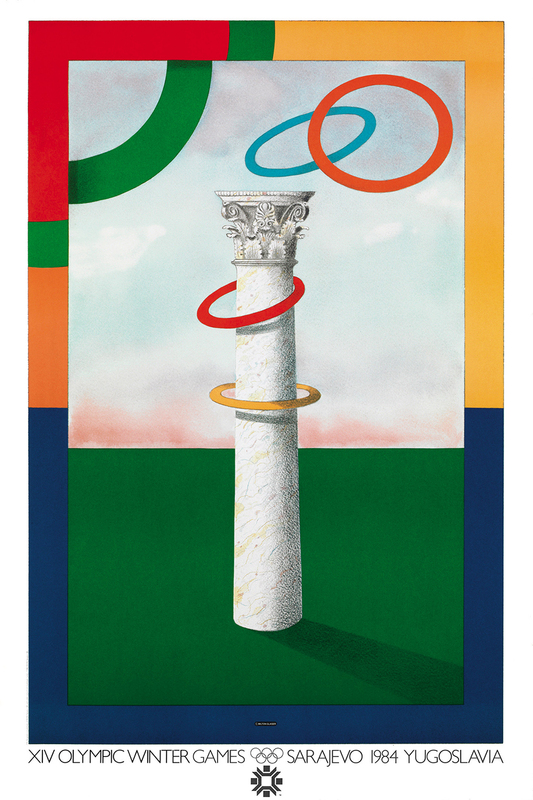 4-color offset lithography, 36 x 24" - Client: International Olympic Committee - The Olympic symbol transformed into a ringtoss game. Glaser’s artwork has been featured in exhibits worldwide, including one-man shows at both the Centre Georges Pompidou in Paris and the Museum of Modern Art in New York while his creations are part of many permanent collections of museums around the globe. An influential figure in both the design and education communities the 89 years old Glaser has contributed essays and granted interviews extensively on design. 2001. 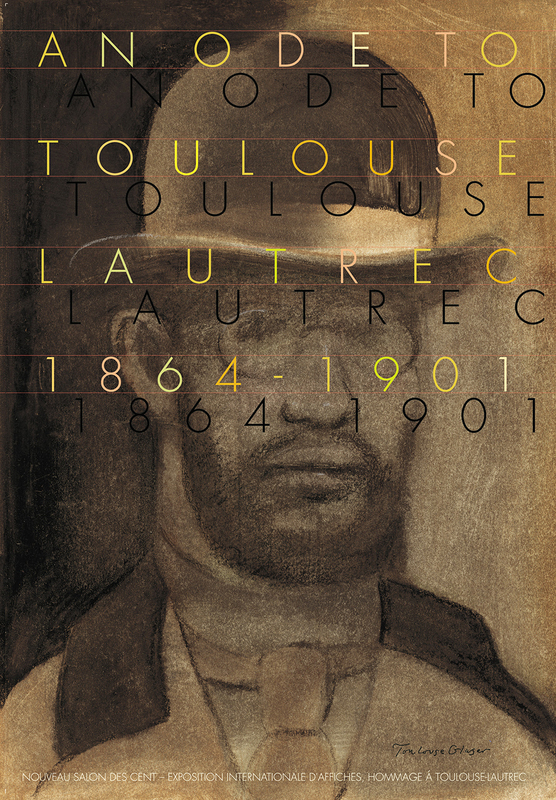 4-color offset lithography, 38¾ x 27" - Client: Parilux, Hommage à Toulouse-Lautrec - A poster for a book celebrating the anniversary of Henri de Toulouse-Lautrec’s death, which consisted of many images created by graphic designers from around the world. 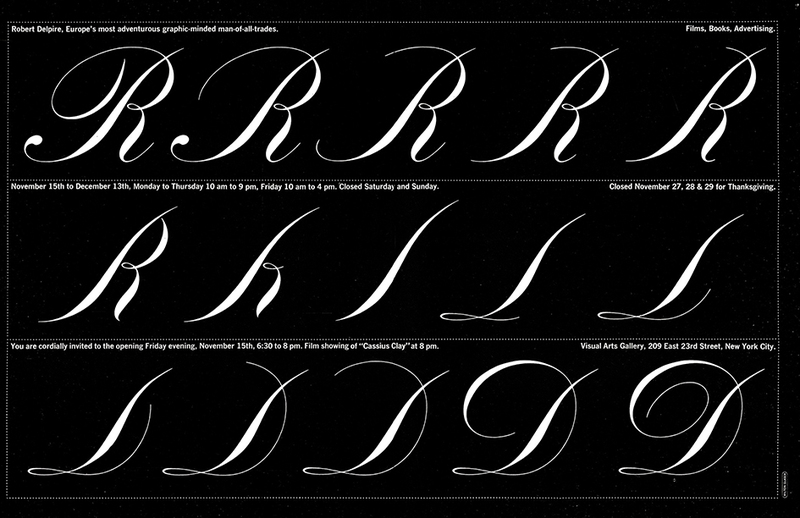 I particularly like the idea of the letterforms casting a deep shadow in my submission. Yet in the hands of a master, there is interplay between the commercial aims of design and the illuminative possibilities of art, and this can readily be seen in Glaser’s posters, of which he has made more than 450 since 1965. In celebration of his work and contribution to the visual language of our times Abrams publishes “Milton Glaser Posters” on March 27. This compendium of poster art at its best with more than 450 he envisioned since 1965 combine conceptual rigor and originality with a mastery of visual language and a high level of artistic expression. 1966. 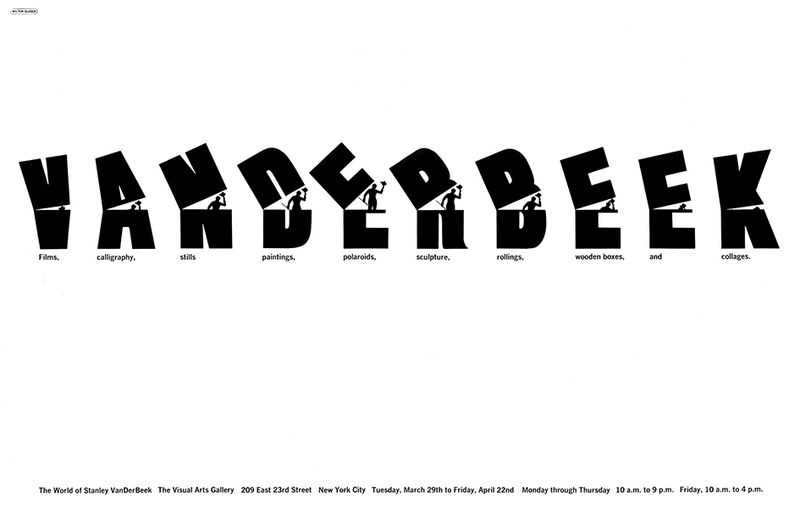 2-color offset lithography, 11 x 18" - Client: School of Visual Arts - A good friend and wonderful artist/filmmaker, Stan VanDerBeek, is shown here, disappearing into his own name. Some, like his 1967 Bob Dylan poster for Columbia Records, are icons; others, like his series celebrating “I Love New York,” evoke his best-known work. 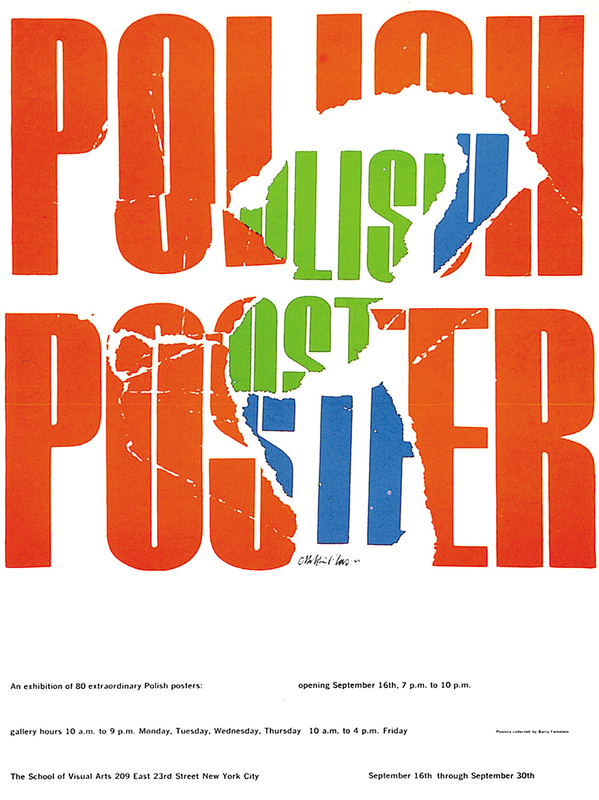 Milton Glaser Posters includes them all, with Glaser’s own commentary describing his thought process and inspiration. The book is a delight for the art lover, an education in visual expression, and an entertaining journey through the cultural life of half a century, all rolled into a single compact, intense volume. 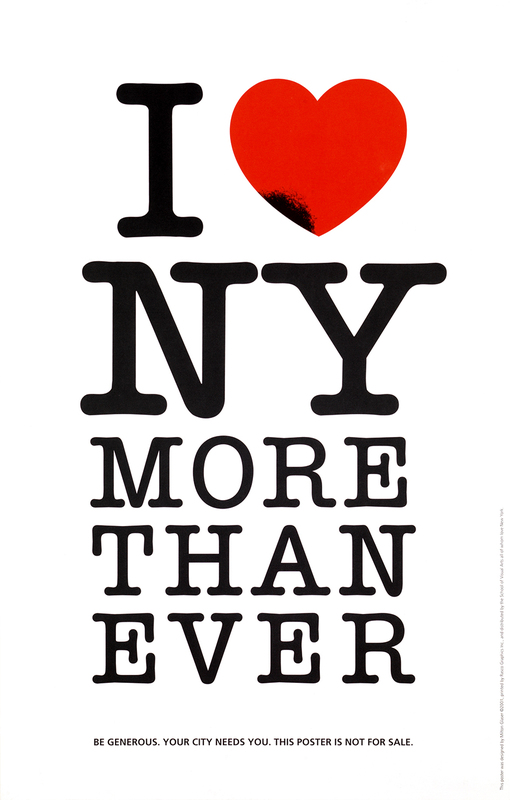 Milton Glaser Posters by Milton Glaser is out on 27 March. Find out more at abramsandchronicle.co.uk. Or visit miltonglaser.com. 1999. 4-color offset lithography, 24 x 18" - Client: Bread and Roses Cultural Project - When first commissioned to make an organizing poster for New York’s Health and Human Service Union, I tried to do an illustration in the spirit of union imagery that might have been created by William Gropper or Rockwell Kent in the 1930s. I couldn’t do anything as powerful, so I switched to making an image out of the word itself. The effect is like a shout: The “O” serves as an open mouth—the center of the “O” drops to the bottom to create an exclamation mark out of the word itself. 1977. 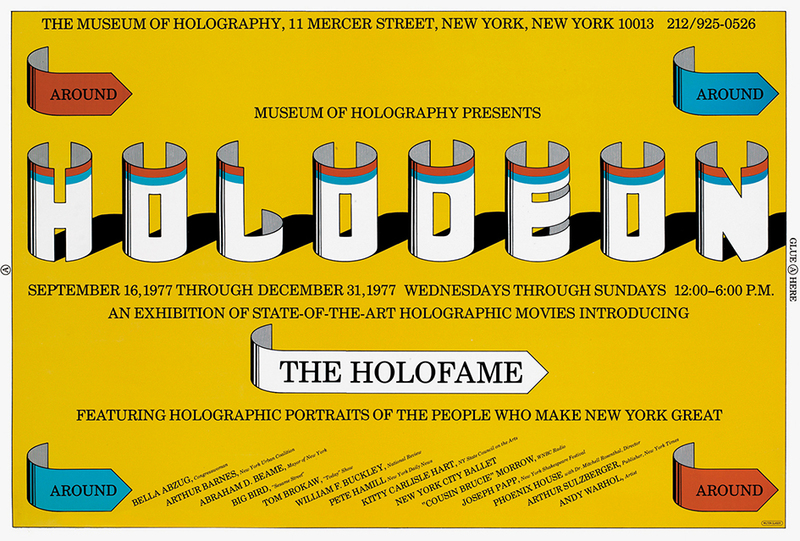 4-color offset lithography, 23 x 34" - Client: Museum of Holography, New York - There actually was a place that was called the Museum of Holography, which attempted to demonstrate the virtues of 3-D movies and images. I used the strangest of all of my typographical designs, Cylindrical Gothic. Actually I found only one other occasion to use this typeface. In this case, the idea was to join the two ends of the poster to create the first cylindrical poster in recent memory. 1966. 2-color offset lithography, 18 x 11" - Client: School of Visual Arts - Tear off the top layer of this announcement of a Polish poster show and you find an announcement of a Polish poster show. 2008. 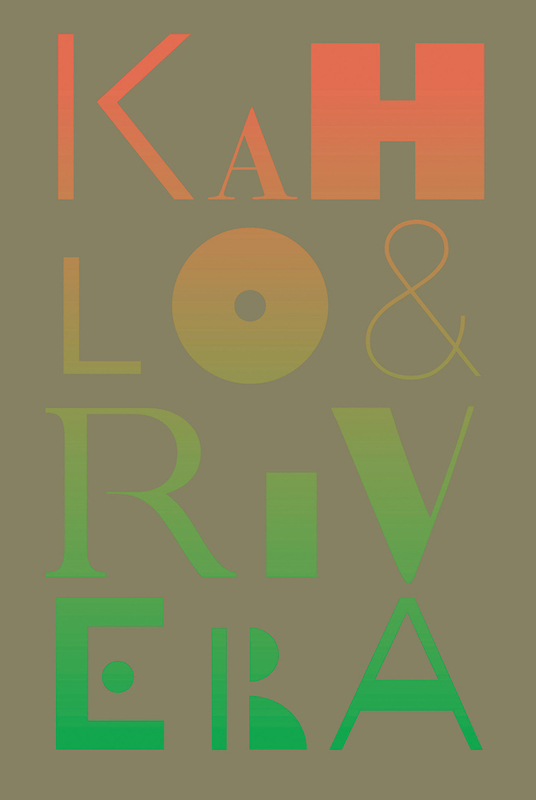 4-color offset lithography, 36 x 24" - Client: Kahlo & Rivera 100 Tribute Show - Basically, a study of form, color, and typography. My question about things like this is always: Why do they produce pleasure?